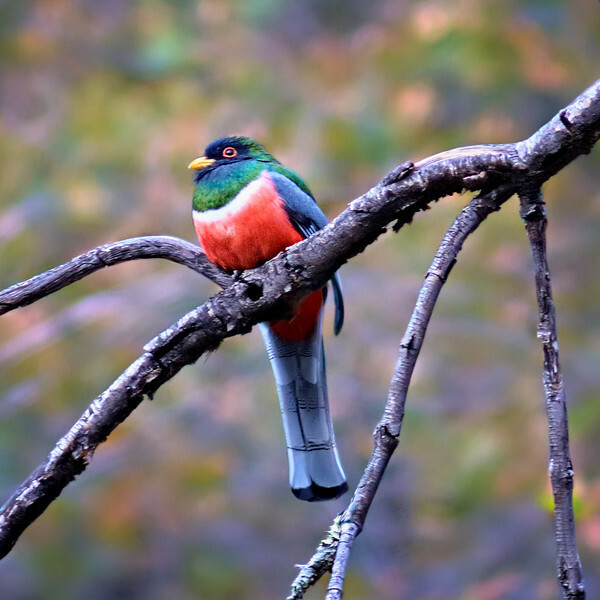 I've been hoping to see an Elegant Trogon ever since my parents moved near Madera Canyon in SE Arizona, and on our second visit Madera delivered! We even got to hear their awesome odd frog-like song that goes Ko-ah, Ko-ah. What a spectacle of a bird!!! These tropical birds only make it into SE Arizona (prefering "Madrean sky islands") and a small patch of SW New Mexico-- making them very special and rare in the United States. For nesting they often use old woodpecker cavities (there are plenty of these in Madera). In the U.S. portion of their range they migrate and don't often return until April, so this was a lucky sighting indeed!